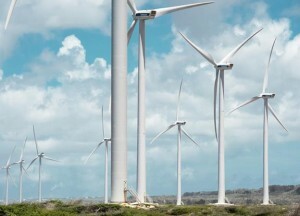 WILLEMSTAD - Belgium's Aspiravi has completed the 17.25MW Tera Kora 2 wind farm on the Caribbean island of Curacao. Developed with local partner NuCapital, the project features five Vestas V117-3.45MW wind turbines. The completion of what is now Curacao's third wind farm means the island now gets 30% of its energy needs from renewable energy sources. It also means the island has hit a 30% renewables target by 2020 three years ahead of schedule.